Ships tomorrow if you order in the next 23 hours 41 minutes. 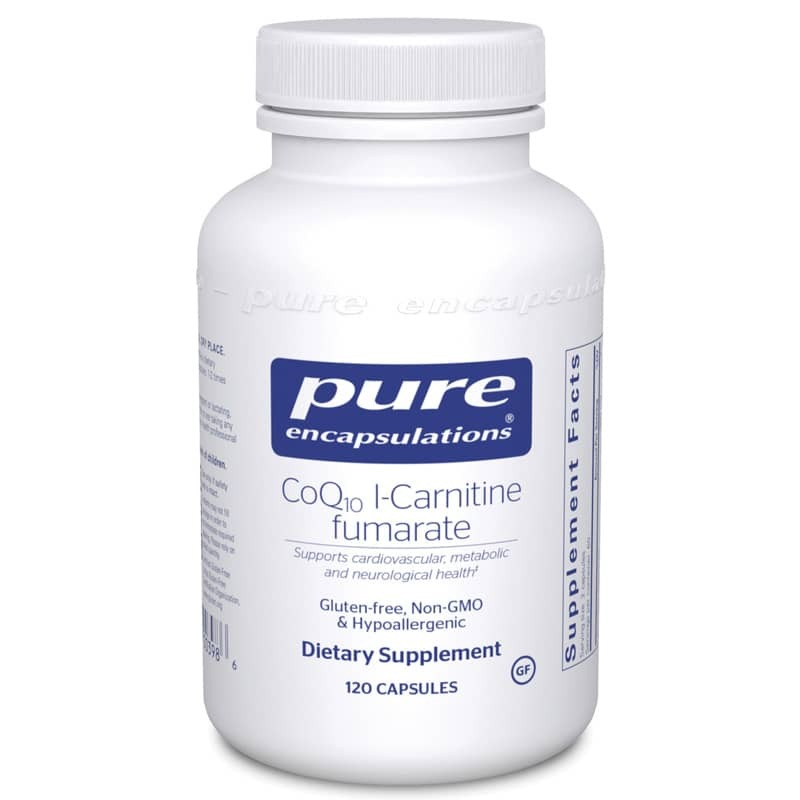 Pure Encapsulations offers CoQ10 in a patented combination (U.S. Patent 4,599,232) with l-carnitine fumarate to provide superior cardiovascular health support. Kaneka Q10® is a U.S. registered trademark of Kaneka Corporation. DuraCarn™ is a registered trademark of Sigma-Tau HealthScience, Inc. U.S. Patent pending. The combination of l-Carnitine and CoQ10 is produced under a nonexclusive license from SIGMA-TAU/BIOSINT, U.S. patent number 4,599,232. Adults: As a dietary supplement, take 2 to 4 capsules per day, in divided doses, with meals.